Home > Personal Details > Is Identity Theft Insurance Just a Scam? More and more people are becoming victims of identity theft – in fact, the Home Office estimates that about 100,000 people fall victim to this type of fraudulent activity every year. For some people, having their identity stolen is an enormous pain that will require weeks of sorting out to put things right. For others, however, it can be a gut-wrenching ordeal, one that is almost impossible for them to deal with properly without help. That's why several companies are now offering identity theft insurance, primarily to help people who would find it difficult to cope on their own should their identity be stolen. If you take out such a policy, the insurer will help you get your life back on track, and will also pay for some financial losses along the way. Identity theft insurance usually costs anywhere form £50 to £100 per year, and is usually payable by direct debit. Is it worth it? It depends on how you think you would cope, should the worst happen. Most financial institutions that offer identity theft insurance include access to your credit report, which you can easily get on your own, as well as regular monitoring to ensure everything is okay. If your identity is stolen, you will be assigned an identity theft specialist to work on your case. Many banks offer this type of protection anyway. What banks don't offer, however, and what this type of identity theft insurance does, is a policy to generally cover you for things associated with your stolen identity. This can include legal fees to clear your name in court, telephone calls, and even lost wages if you have to take time off work to protect yourself. You should always read the fine print, however, to see what is actually covered to make sure you are not caught short. Some insurance policies also offer a certain sum of money to pay for a lost or stolen driving licence or passport, should yours become stolen. Be advised that there is usually a loss of earnings cap, and that all legal expenses must be fully agreed upon before being paid out. FOR: It will give you peace of mind, knowing that there is someone to help should your identity become stolen from you. AGAINST: Many existing financial institutions and insurers offer a degree of identity theft already – for free. FOR: It will protect you against a loss of wages if you have to appear in court. AGAINST: Often, the deductible is so high that this point is irrelevant. 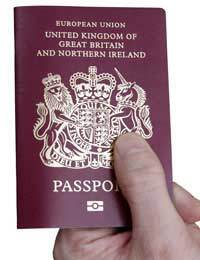 FOR: It will help me get quicker access to credit cards, passport, driving licence etc should they become stolen. AGAINST: You can get these things back yourself, perhaps as quickly, depending on how savvy you are. FOR: It will protect me financially against losing things such as my passport and/or driving licence. AGAINST: Your Contents Insurance may cover most of the things in identity theft insurance already. Identity theft insurance is designed to protect people against the after-effects of a crime that is growing exponentially every year. The cost may appear reasonable, but it is up to you to read the fine print and see if you are really getting enough benefits to make the purchase worthwhile.